GOVERNMENT is leaving no stone unturned to ensure that all those who succumbed to Cyclone Idai are given decent burials, with those tasked with the mission to rebury the bodies walking for more than 20km to carry out the task. 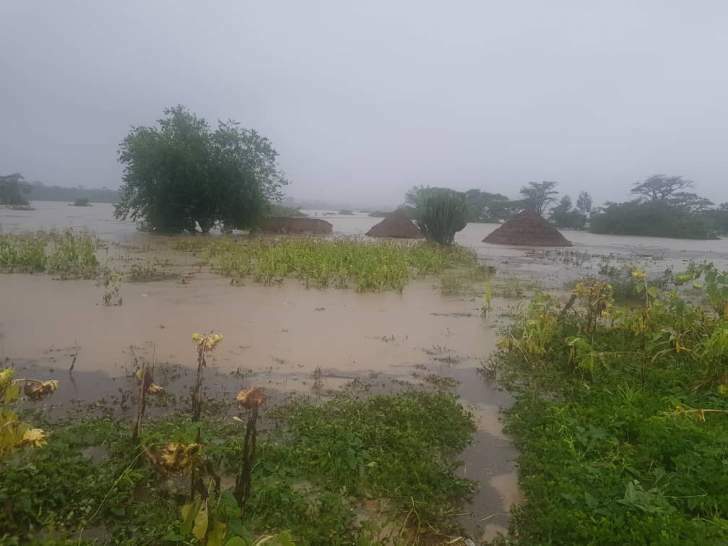 In an interview yesterday, Local Government, Public Works and National Housing Minister July Moyo said some of the bodies had reached Mozambique. "To our rescue team, we have said to them let us not leave any stone unturned. We have to find these bodies so they are now walking from Copa all the way to Vimba for them to get in contact with Mozambican villagers to find out where some of the bodies are. "We have said let us intensify our efforts and we are getting the necessary assistance from the uniformed forces. There are places where you see stones and we don't know where they came from. Where they used to be houses is just stones and we are not talking about small stones, but those stones which you and I cannot lift," he said. Minister Moyo said they were now checking with line ministries and traditional leaderships in the affected areas to account for the missing persons. "The data on the number of deaths is to be finalised. We have given the teams a directive to check with the traditional leadership and ministries of Health, Education and Agriculture which had people at work in the affected areas for us to find out on the actual number of people missing. For those who are missing we don't have a comprehensive picture such that we can affirmatively say these are the number of people who have died," said Minister Moyo. He said they were now opening a new road to Chimanimani to facilitate the rescue and burial mission as the old road remains impassable. "Most affected bridges start from Wengezi all the way to Skyline. All bridges have been affected, some of them more severe than others. The bridge at Skyline is posing a huge challenge. That bridge will take much longer to repair and from Skyline to Nyahode River, all those bridges have been affected. "The bridges from Jopa into Skyline on the side of Chipinge were affected. The same also applies to Silverstream Bridge which has since been attended to and lorries are now passing to Skyline. We are trying to open a road just above Silverstream that will turn to Peacock. We will be able to move food from Silverstream through Peacock and then 17km dust road from Peacock to Ngangu will be created," he said. As donations continue coming, Minister Moyo said they had come up with mechanisms to ensure that everything that was received was accounted for. "Our job is to make sure that reconciliations are done in a transparent manner. Anybody who wants to see what has been received can do so because these donations are coming from the public. We want people to know that we are transparent, accountable and can balance what we have been given and dispatched," he said. Minister Moyo hailed the teamwork from all those involved in the rescue mission from public service to humanitarian organisations.